An increasing number of iPhones and iPads from around the globe are being targeted by hackers who are remotely locking their devices and asking for ransom money to unlock their phones. These type of ransomware attacks are not new, but were previously used to lock laptops and PC’s. Now it seems that hackers have gotten a little more personal and are attacking our gadgets. 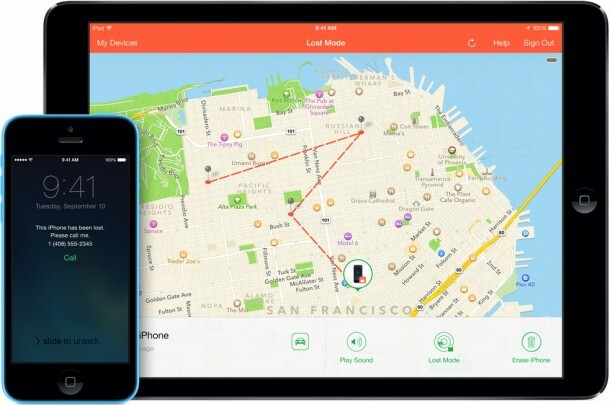 This latest wave of Apple attacks is being carried out by the hackers who are controlling gadgets by breaking into customers’ iCloud accounts and remotely locking the devices using the Find My iPhone feature. According to complaints from all around the world on official Apple support forums, criminals are hacking into iCloud accounts from a browser, before locating connected devices using the Find My iPhone feature and then locking them. Some people have various Apple devices all logged into the same account and therefore, face a greater loss than other victims. The hackers or hacker are using the name “Oleg Pliss”, the name of an actual software engineer in California, and are enabling Lock Mode to shut users out of their devices remotely. The Lock Mode feature lets people send messages to thieves, for example, letting them know that the phone has been locked. In this instance, the roles are reversed, with hackers sending personalized messages to demand $100 in ransom money to release the devices. 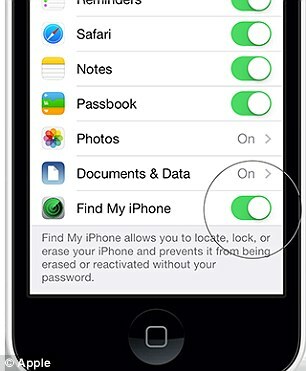 To protect your gadgets from being compromised, you can turn off the Find My iPhone feature to prevent hackers from accessing your device remotely. It is also highly recommended that you change your Apple password as soon as possible, and also change it on any other online account on which you registered with the same email address and password. To change an Apple ID, go to appleid.apple.com and follow the steps to reset the password. Users that have a pass-code on their iOS devices can remove Lost Mode in Settings, using this new password. If your phone is hacked, you’ll need to get control over it back (it is advised that you not pay the ransom because you cannot trust a scammer). You can try bypassing the lock screen, as described on the Apple support website. If that doesn’t work, you’ll have to factory-reset the device. But the factory-reset should not be performed via iTunes as you accounts have been compromised, instead a hard reset will have to be done. Shut down the phone, then hold the home and power button simultaneously until the Apple logo appears. From there, access Settings, General and Reset. Choose Erase All Content and Settings. Now restart the phone, sign in with your revised iTunes login information, and you’re good to go. 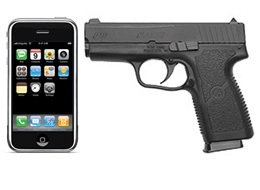 For further protection, be sure to lock your iPhone with either a PIN or a password. This makes it more difficult for hackers to gain access to your system. Two-step verification will provide further security and could protect you from becoming a victim of this spreading ransomware wave.